Whether any of this music resonates with you or not (and I do count on commenters to tell us precisely what they really think), the sheer diversity of music here is a tiny indication of just how profound DJ Kool Herc’s impact has been on music. This is just musicians doing what they do; with branches far from the original roots, it nonetheless shows the meaning of those roots to people making music of all kinds. We also know that many of hip-hop’s pioneers and artists, like many Americans, have faced and will continue to face similar circumstances. So we call on the hip-hop community to come together to figure out positive solutions around health care and to advocate on behalf of the artists who made this culture and movement the global force for change that it is. It’s an appropriate topic. In the impact of hip-hop on DJing, electronic music, and music culture, the political and musical have always gone hand in hand. At 1520 Sedgwick, where Kool Herc held his parties and developed techniques used globally by DJs today, hip-hop music culture was a form of resistance to a community ripped apart by NYC “master builder” Robert Moses’ Cross-Bronx Expressway. From the local and personal grew musical forms that were expressive and universal. Saying that isn’t as useful as showing that, though. 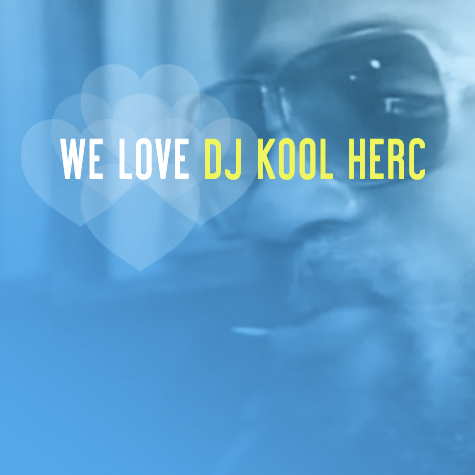 Here’s Kool Herc demonstrating the technique. It’s so commonplace now, it may be hard to imagine it ever having been unconventional. Here’s a great interview from 1989 by Davey D, where – in musical time – the span of a handful of years had already made 1520 Sedgwick seem like ancient history. But the place of that landmark on the historical timeline of modern music has at least been recognized by the State of New York, the birthplace of hip-hop. That music has now become global, not just the product of its West Bronx origins. But as a New Yorker and an American and a musician, I hope we take that musical legacy and build for better times – build a city that is more caring to its residents, and a nation and planet that cares for its peoples’ health, across the board. I think there’s a reason the music and the parties sound optimistic: it’s optimism that those struggles aren’t in vain. Music can’t solve the nuanced problems of health care policy, and too often it fails to pay our bills. But it can give voice to that optimism.